River Valley Edmonton with a beautiful view of downtown Edmonton. This all wedding was just so rich and vibrant in fall colours and this was the perfect location for it. Surrounded by only trees and nature right in the middle of the city. The ceremony was held at the Chinese Gardens right by there River Valley in Edmonton as well. 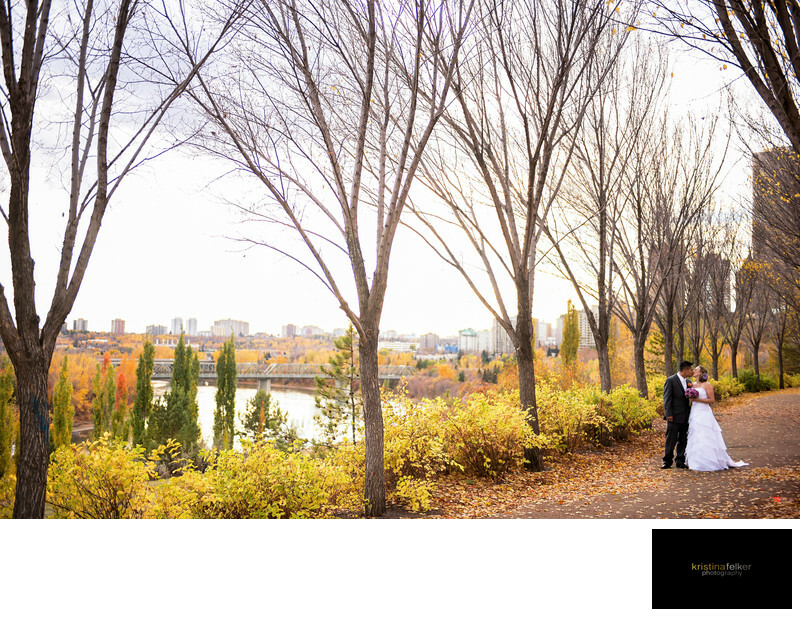 Keywords: Alberta Weddings (3), Chinse Garden Wedding Photography Edmonton (3), Edmonton Fall Weddings (6), Edmonton Seasonal Wedding Photography (3), Wedding Photography Seasonal in Edmonton (3).